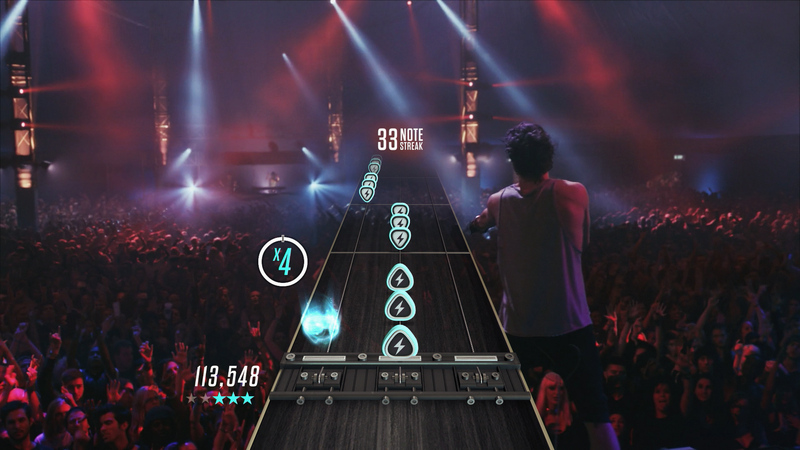 Activision's upcoming Guitar Hero Live is a bit of a departure from the origins of the franchise, not just with the revamped controller, but also with how content is delivered. In the past, you'd get the base song collection, wait several months for a DLC pack or a la carte menu to offer something you want, which you download to add to your collection. 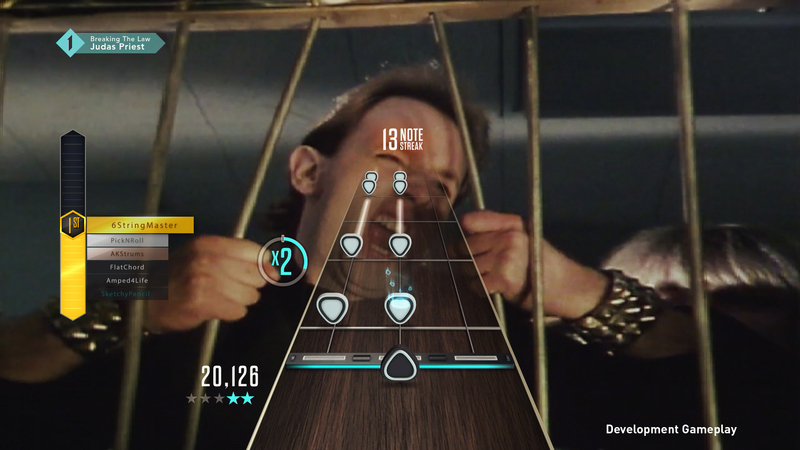 Of course, a lot has changed since we last heard from Guitar Hero, particularly in how the general populace consumes content. The days of buying a movie or song - on disc or digitally - seem to be coming to a close, as the on-demand streaming market gains more and more popularity. Netflix's video-on-demand service has become so prolific, in fact, that it is responsible for an enormous portion of all internet data being passed around online. 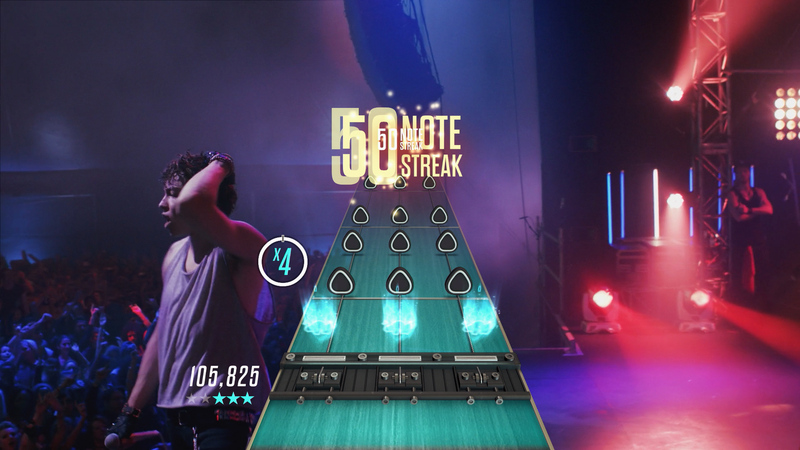 Guitar Hero Live's TV mode offers a similar option, in addition to the now-classic programmatic scheduling. When you open up TV mode, there's actually a "TV Guide"-style guide mode, which shows you exactly what's coming up on the schedule, so you can tune back in when the time comes for your favorite song. It's programmed well in advance, so you'll have a weekly view of the upcoming performances, which you can tune into at any time, and jump right into the game, facing off via matchmaking against other players on the same channel. This offers synchronous gameplay against a live collection of players on a live channel. Of course, the programmatic option might not have anything you want to play at the moment, which is where the on-demand options come into play. You'll be able to spend "Plays" that you've earned by playing the Live channel to access one-off, on-demand songs from the catalogue, very much akin to the Netflix setup. The currency for this can be earned in-game, but will also be available for purchase with real money, in case you aren't interested or don't have time to participate in the live goings on. Naturally, if you want to have permanent access to a song, you'll be able to purchase that as well, but this one-off rental option certainly seems appealing. 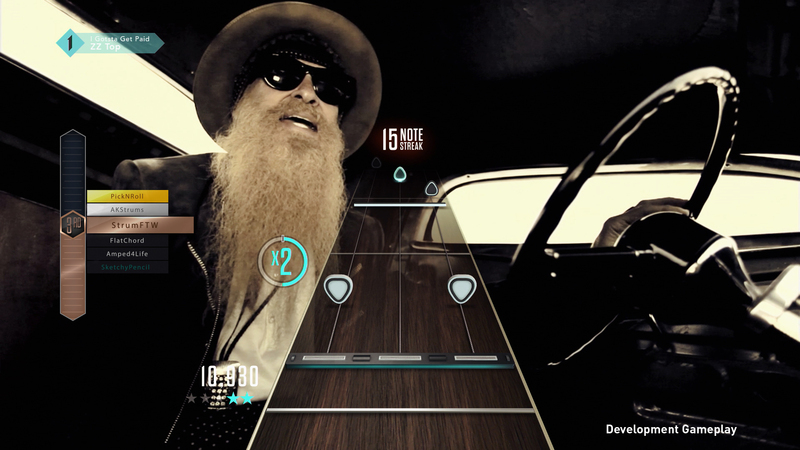 The channels presented at the Guitar Hero TV dashboard are tailored to your tastes, based on what you've chosen to play in the past. When searching for on-demand songs, you'll even get custom filters based on your history, akin to Netflix's "Picks for You" section. In addition to the auto-customization of the TV menus, there are aesthetic customization options available to earn for completing challenges, or purchase with real money. These are purely cosmetic, though, and won't have any effect on gameplay or performance. Finally, there's the progression system, which seems to exist in some form or another in virtually every title released, so it's not much of a surprise to see it here. You'll earn experience as you play and, when you level up, you'll get a skill point to spend. The talent options are fairly limited, but can add up to have significant impact on your score potential. For example, you can spec into star power, which reduces the number required to enable star power incrementally by one, which is almost certain to have a major beneficial impact on your score. 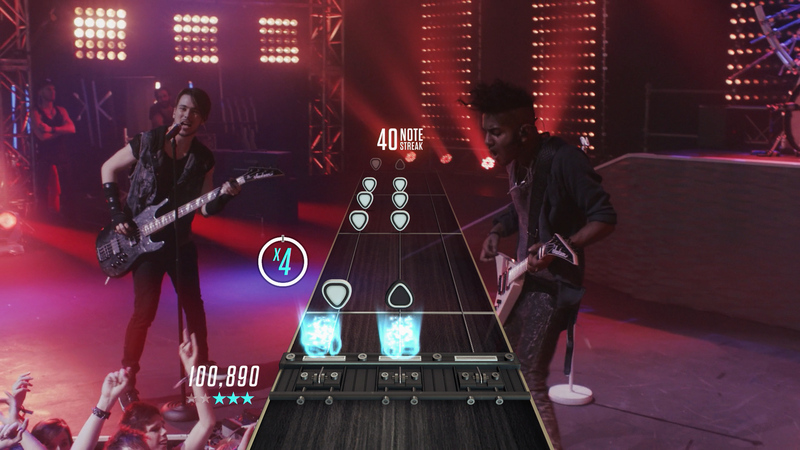 Guitar Hero Live is squaring off against the new Rock Band, of course, so if you're on the fence, it would be prudent to keep an eye on the feature announcements for both games until you've made up your mind. 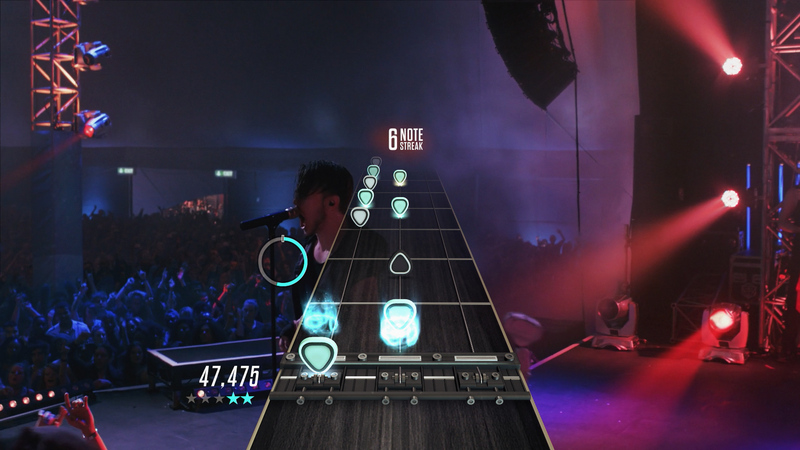 If you're a Guitar Hero fanatic, however, GH Live is shaping up to be a particularly fun and novel departure from the old rhythm formula. 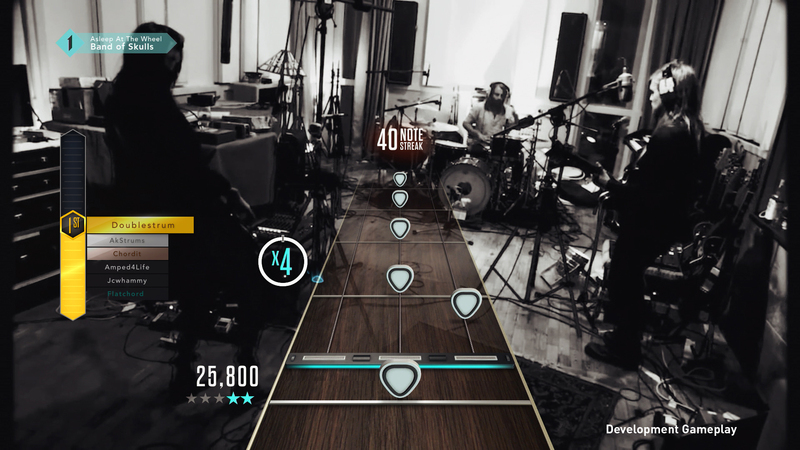 Guitar Hero Live is set for an October 20 release, and will set you back $99.99.